What Is The Best Frying Pan For Your Kitchen In 2017? →What Is The Best Frying Pan For Your Kitchen? 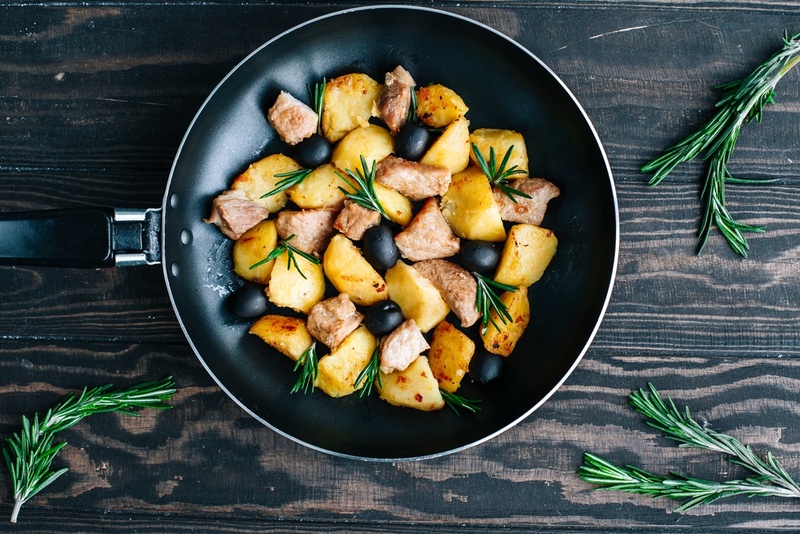 What Is The Best Frying Pan For Your Kitchen? Using the best Frying Pan when cooking is important. There are various factors that you need to consider when buying the frying pan. Some of them include what you will be frying, the type of cooktop you have, the size that you want, or the stir fry pan. A frying pan can be used for searing, browning, frying, and others. The following information will help you to choose the best for your kitchen. 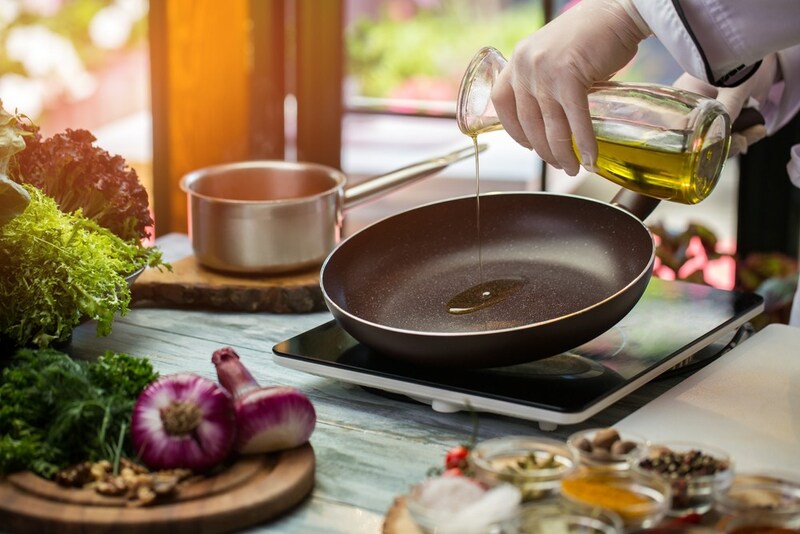 The following factors will help you to choose the best Frying Pan for your food. There are different materials that are used to make the fry pans. Some of the pans are crafted from different metals. The materials include aluminum, stainless steel, copper, or iron. When choosing the material type, consider the type of food that you will be cooking. Aluminum and stainless steel are commonly used. Aluminum pans are lightweight, resistant to corrosion, and the conductivity is excellent. Stainless steel is strong and durable. The pans are relatively expensive as compared to other materials. A frying pan is used to perform various tasks. The should be reliable and durable. You can use the pan to sauté shrimp, vegetables, eggs, bacon, and other foods. It should stand the everyday uses for a long time.NonstickThe nonstick surfaces ensure that the cleanup process is easier. This is because the food cannot stick to the pan. The nonstick surfaces require little or no oil when cooking. These surfaces are not resistant to scratches. Ensure that the coatings are free of PFOA, PBA, and other harmful substances. When cleaning the nonstick surfaces, avoid stainless steel or corrosive scrubbers. The frying pans vary in size and thickness. The 8,10, and 12-inch pans are common. Choose a pan considering the type of food you will be cooking and the number of people that you will be serving. The thickness of a pan is another important factor. The thicker metals are sturdier and the heat will be distributed evenly. They are resistant warping and denting. The thicker pans will take long to heat up and are heavy. With a thin pan, the food will burn on the outside when the inside is not yet cooked. The handles will help you to transport the pan to and from the heat source. The handles should be resistant to heat and strong. The hollow metal handles and the stainless-steel handles cannot conduct the heat as compared to handles made of aluminum. The handles should stay cool during the cooking process. The handle should be riveted and thick. The riveted handles are attached permanently. You don’t have to tighten them but they should be washed thoroughly. There are various frying pans that can multi-task. The pans that can be used in the oven and have lids can be used to cook different meals other than frying. The lids should fit the pans perfectly. An oven safe cookware will reduce the number items that you will use when cooking. Ensure that the cookware that you purchase is treated with care. This cookware has a thermos-spot heat indicator. This will ensure that the juices and flavor are locked in. you will definitely know when the pan is ready for cooking. It is made of heavy gauge aluminum. The heat is distributed faster and even. The bottom is made of stainless steel that is resistant to warping. It can be used on any cooktop. It has no PFOA, Cadmium, lead, and other harmful chemicals. The cooking surface is non-stick. It is very strong and resistant to scratches. You can safely use metal utensils with this pan. The nonstick surface makes the cleanup easier and the food is released effortlessly. The handles are made of silicone and are riveted. They can stay cool during the cooking process for a secure grip. The lid is glass tempered with handles that stay cool to touch. You can easily monitor the food as it cooks while the heat and moisture are locked in. You can use it for searing, browning, frying, and sautéing. You can wash it in the dishwasher safely. The handles are made of silicone and are riveted for strength. It can be used in the oven up to 400 degrees safely. This makes it convenient and versatile. The thermos-spot heat indicator will let you know when the pan is ready for cooking. The nonstick cooking surface makes the cleanup easier and the food is released effortlessly. The stainless-steel disc at the bottom protects the cookware from warping and the heat is distributed evenly. 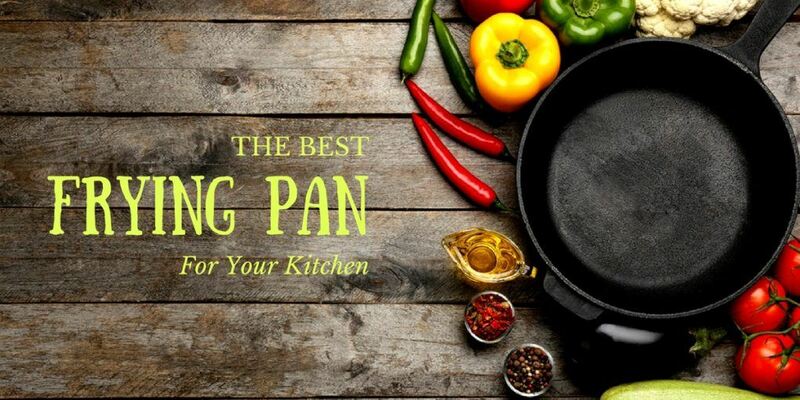 This frying pan can be used on any cooktop. The cooking surface is resistant to scratches. Metal utensils can be used safely. The food may stick after several uses. It is not resistant to peeling, chipping, scratches, and rust. This is one of the best frying pans on the market. It is free of PFOA, APEO and other harmful chemicals. It is resistant to scratches and long lasting. The cooking surface is non-stick. This will help you to fry, sauté, boil, bake, and braise. The cleanup is simple. It is made of high-quality die-cast aluminum. This will give you the best results when browning. The heat is distributed evenly and there are no hot spots. The pan can be used on an induction cooktop. This is because its bottom is magnetized. The handle is coated with silicone. It is resistant to heat and comfortable to grip. The cooking surface is non-stick. It is free of the harmful chemicals. It has a coating that is resistant to scratches. It is made of heavy-gauge die-cast aluminum material. The base of the pan is magnetized. You can easily use it on the induction cooktop. The handle is resistant to heat. It is riveted to give it strength. This can be used to fry, sauté, boil, bake, and braise. It does not work on induction ranges. Food may stick after several uses. It is not resistant to scratches and warping. This pan has a glass lid that is used to lock in moisture and flavor. The silicone handle is resistant to heat. The base is made of aluminum that conducts heat faster and evenly. It is multi-layered. The material used has no PFOA, PTFE, Cadmium, lead, and other harmful chemicals. It can be used in the oven safely up to 450 degrees. The performance is excellent. This is because of the ceramic coating. The pan can be transferred from the cooktop to the oven safely. It can be used to prepare steak, vegetables, fish, roasts, and other meals. It is 2.5 inches deep. You can deep fry easily. The cooking surface will help you to prepare healthier meals. It has a one-year warranty. The base is made of aluminum that conducts heat faster and evenly. It is multi-layered. You transfer the pan from the cooktop to the oven safely. The cooking surface is non-stick. This will help you to prepare healthier meals using little or no oil. It is large enough to prepare food for the whole family. It can be used in the oven up to 450 degrees safely. The cooking surface is nonporous. This makes the washing process easier. You can hand wash it or place it in the dishwasher. The silicone handle is long enough to grip securely. It is resistant to warping and scratches. It is a deep enough for deep frying and easy flipping. Food may stick after few uses. The pan can warp at high temperatures. The Cleverona fry pan is of high quality with a professional design. The handle can be detached easily. This makes the storage easier by reducing the size of the pan. The pan has a large lid. The rim is flared to prevent dripping when pouring. The bottom is thick enough to resist warping. The heat is distributed evenly and quickly. The pan can be used on different cooktops including radiant, induction, halogen, ceramic and others. You can use it in the oven up to 400 degrees F safely. The lid is universal and resistant to high temperatures. You can easily monitor the food as it cooks. The lid handle can stay cool to touch. The lid can be used to cover 11, 10.5, and 9.5-inch pans. The pan can be cleaned and maintained easily. You can clean it in the dishwasher or hand wash. This can be used for searing, browning, and frying food using less or no oil. You also can consider a grill pan if you want bring out the best of your meal. The pan can be used on different cooktops including radiant, induction, halogen, ceramic and others. The lid is universal and resistant to high temperatures. It can be used to cover 11, 10.5, and 9.5-inch pans. This can be used for searing, browning, and frying food using less or no oil. The handle on the pan and the lid handle can stay cool to touch. The pan can be hand washed or place it in the dishwasher safely. You can use it in the oven up to 400 degrees F safely. The fry pan is of high quality with a professional design.You can detach the handle for easier storage. The lid is made of glass. You can monitor the food as it cooks without lifting the pan. The plastic on the handle is not resistant to high heat. This cookware is eco-friendly. It is natural. It is made of pure iron and finished with bee-wax. The wax will prevent the pan from oxidation and help to season the pan. The pan is ideal for searing, grilling, and browning. The pan has no PFOA, PTFE, and other harmful chemicals. The pan gets nonstick surfaces naturally after several uses. It is made in France. It has two handles that will help in transporting the pan to and from the cooktop. It is 12.6 inches. The pan is made of pure iron and bee wax. The cooking surface is smooth. The pan can be cleaned and maintained easily. The pan is durable. It can stand the everyday uses. The heat is distributed faster and evenly. It may get rust if it is not seasoned well. It may be heavy for those who hand problems. I like the Cleverona essential nonstick frying pan. The pan is of high quality with a professional design. The handle can be detached easily for easier storage. The pan has a large lid. The rim is flared to prevent dripping when pouring. The bottom is thick enough to resist warping. The heat is distributed evenly and quickly. The pan can be used on different cooktops including radiant, induction, halogen, ceramic and others. You can use it in the oven up to 400 degrees F safely. The lid is universal and resistant to high temperatures. You can easily monitor the food as it cooks. The lid handle can stay cool to touch. The pan can be cleaned and maintained easily. You can clean it in the dishwasher or hand wash. This can be used for searing, browning, and frying food using less or no oil. It has all the features that I need. 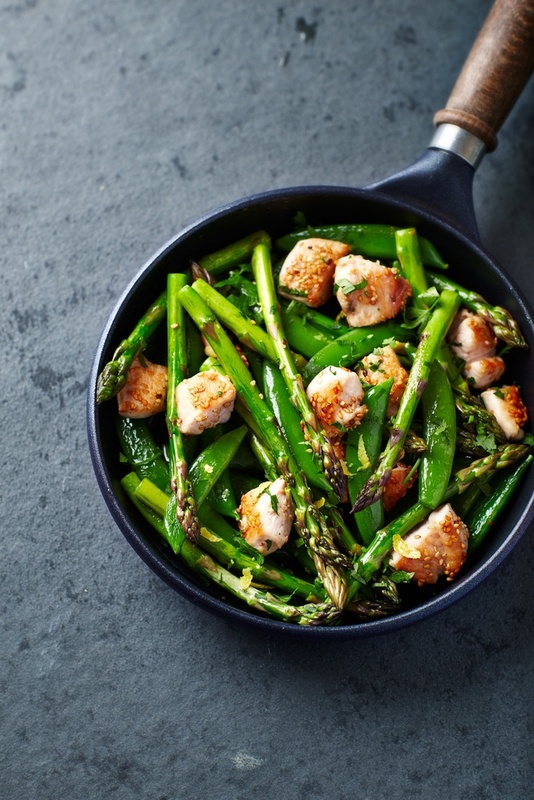 Ensure that you choose a pan that will meet your needs. You can also check the best omelette pan on the market.